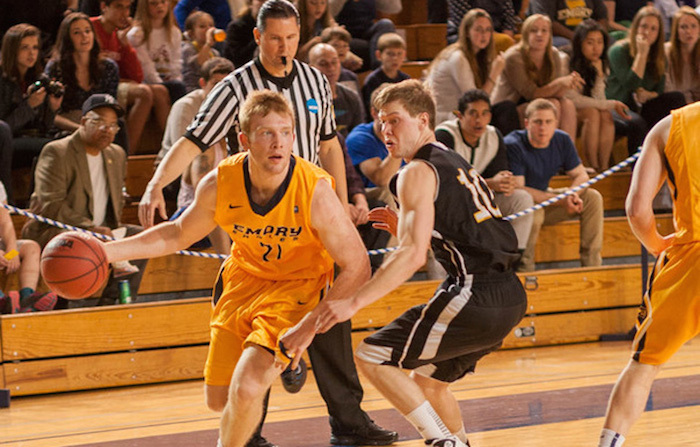 The Emory men’s basketball team’s strong season suffered a backlash, going 0-2 over the weekend as the Eagles lost to the University of Chicago (Ill.) Maroons and the Washington University in St. Louis (Mo.) Bears. Their overall record now stands at 11-3. The Bears won 80-70 against Emory, Washington outshot Emory with a 46.7 percent field goal percentage over the Eagles 33.3, and the Bears had 56 rebounds over just 37 by the Eagles. Foster, junior forward Will Trawick and senior guard Josh Schattie each shot in the double digits with 14, 15 and 13 points, respectively. Washington’s senior guard David Fatoki had a very strong offensive game, scoring 25 of their 80 total points. Senior forwards Nick Burt and Matt Palucki scored 12 and 15 points, respectively. Senior guard Mitch Styczynski also scored double digits with 12 points. In the second game, Chicago won 80-74. The Maroons outshot Emory, landing 45.8 percent against the Eagle’s 42.6. Chicago had 40 rebounds over Emory’s 34 and 14 assists to the Eagles’ 11. While Chicago led most of the game, Emory went on a run in the second half. With 5:37 on the clock, Emory was up 63-61. Chicago pulled away in the final minutes finishing up by six. Foster led Emory with 18 points, followed by senior guard Michael Florin with 17. Junior forward Alex Voss and junior guard Jordan Smith led Chicago with 15 and 19 points, respectively. Zimmerman doesn’t believe these losses will affect future games. Foster also spoke about how the team is focused on the rest of the season. The Eagles return to action on Sunday, Jan. 25 at 12 p.m. when they will play the Carnegie Mellon University (Pa.) Tartans at Emory’s Woodruff Physical Education Center (WoodPEC).